Reusable cups: fast fashion or a sign of good taste? The use of disposable plastic production poses serious problems to our planet Earth. While there is still a long way to go before we see a significant change in the reduction of disposable plastic use, we can all be proud of small firt steps done today. 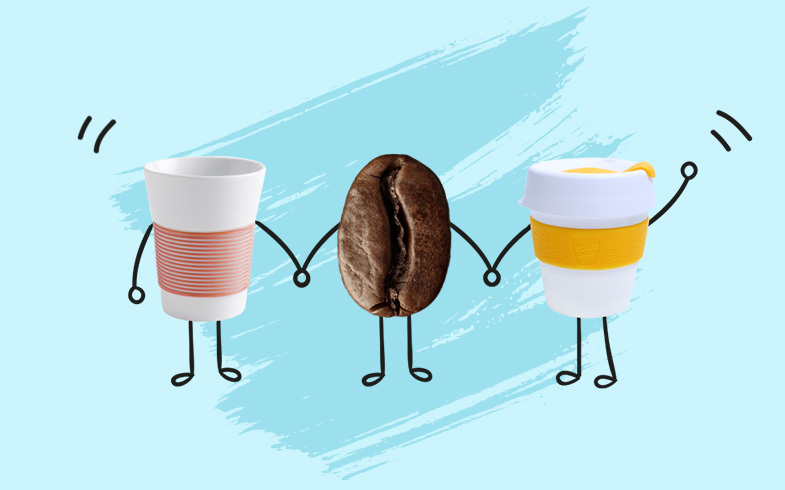 We encourage to take the first step and try a new solution, which in the world right now is gaining a new momentum – exchange disposable coffee cups into reusable portable cups. You won’t even notice when this eco-friendly companion will become the best friend in an everyday mission of caffeine. Every item that could be used at least twice is a good decision when thinking about nature. 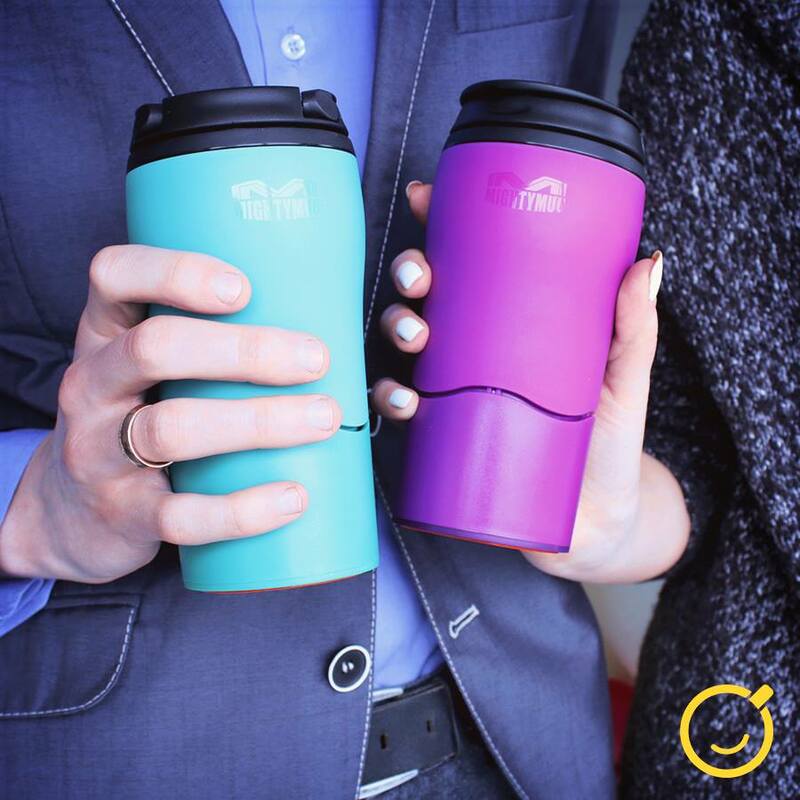 Reusable cups have more than one advantage which will not only ease your day, but also would make it more friendly to the environment. So how this tendency fascinated the world? Have you ever been in a situation when, in a hurry of course, you spill your drink or accidentally knock it off the table with your elbow and have to instantly jump and clean everything because of the mess you’ve made? 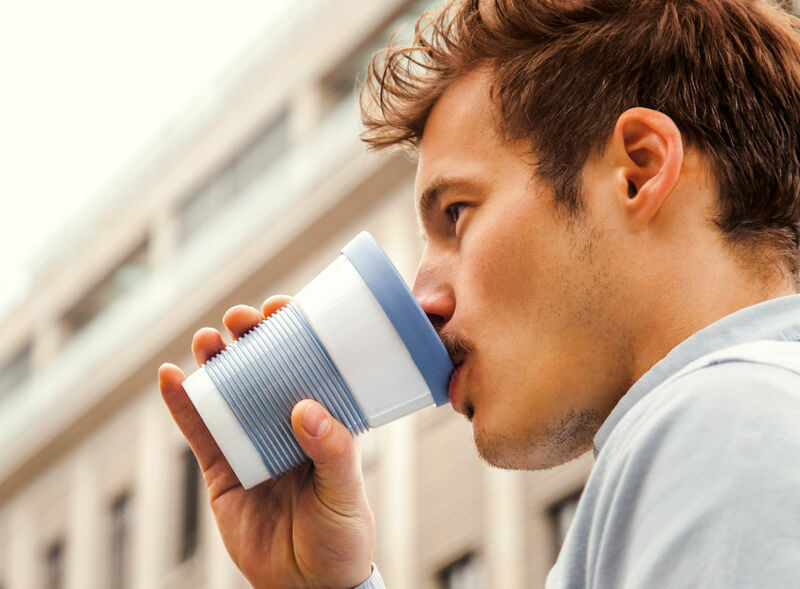 Depending on the material, reusable cups are quite sealed and isolated, some even have an integrated “Smartgrip” technology which prevents from knocking the cups off. You can now forget about spilling your coffee or burning your hand from a hot cup. You won’t mind if I tell you that the most delicious coffee is the one you like the most? And the cup prepared at home is the best evidence of it. 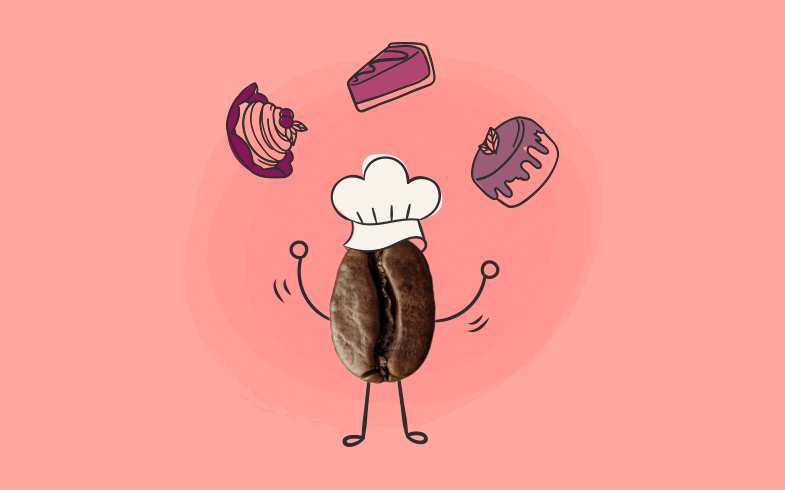 Then you are the host of the best taste, because only you are responsible of the freshness of the coffee beans or which type you choose and how much milk you pour into. Also – what additional ingredients you add to spice the whole thing up. What if you could carry this drink around… This is one of the main advantage of thermo and reusable portable cups! By the way, they hold the best qualities of coffee better than any other disposable cup. 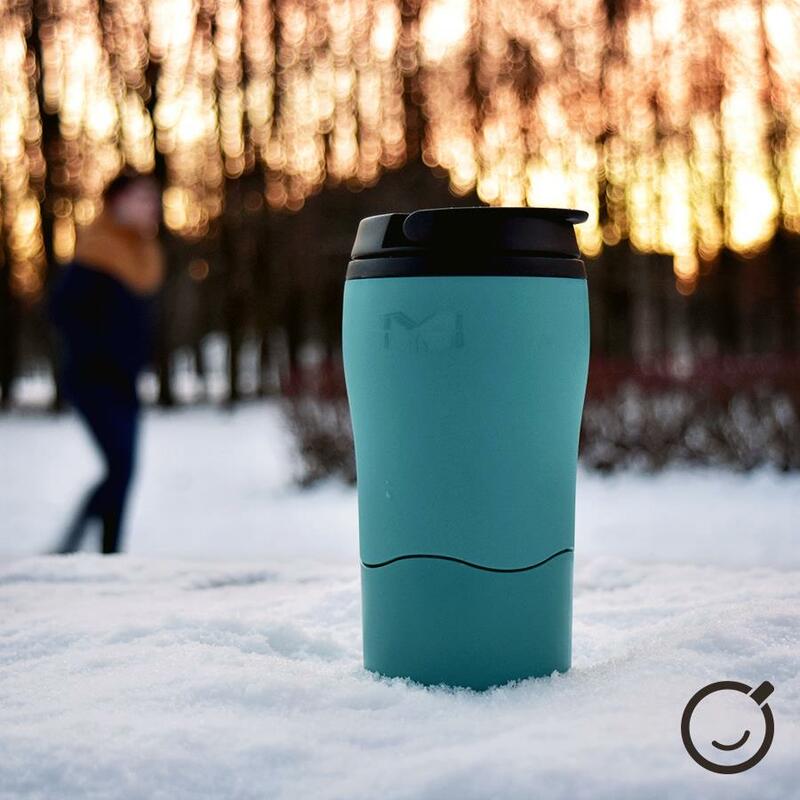 Bottles, reusable and thermo cups have become more than a fashionable accessory which complements your personality – with a unique design and functionality these cups are now inseperable from everyday lifestyle. 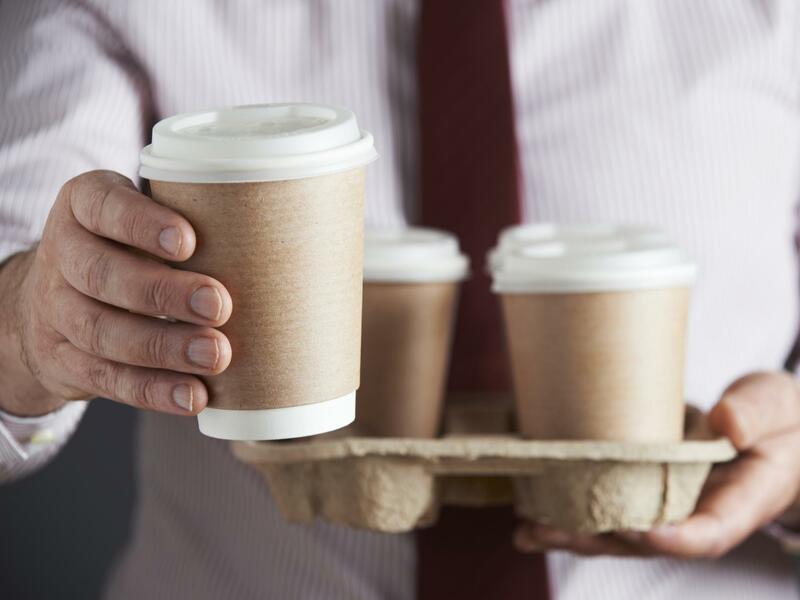 Just imagine, how much time they save when in the early morning you take your favourite coffee drink with you to go.This could not only keep your good mood which usually goes away during long waits in quenes for that sip of quality coffee, but also help you get to the meetings in time. Exclusive design solutions – another advantage that adds to the coffee drinking experience. When matched to your favourite coat these cups signals that you are not only stylish and like comfort, but it also shows that you make decisions which contributes to the welfare of the world. If you know which qualities are the most important to you – choosing the right cup won’t be difficult. Just pay attention: how much coffee are you going to pour and do you prefer porcelain or steel? How much time you’d like for your drink to stay hot? Of course, you will have to choose your preferable design and colour by yourself. 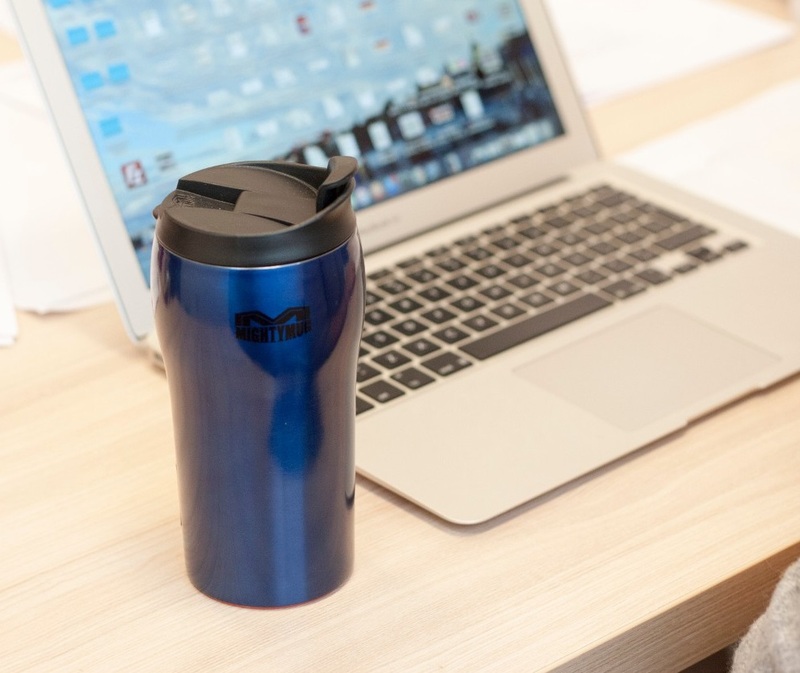 Travel cups “The Mighty Mug” have an integrated “Smartgrip” technology. For this technology, even if you want to knock off a 470 ml cup, you will have to put a lot of effort – when the cup is placed on the table it creates a vacuum between the cup and the surface underneath it, this making it hard to spill the drink. It won’t be difficult to lift the cup up from the table, during the lifting moment vacuum disapears. In order to believe it, you have to try it yourself. If classical black isn’t for you – you can always choose the colour red. “Smartgrip” technology is also used for stainless steal cups – so you can easily enjoy your coffee while it remains safe inside the cup. It can hold up to one standart (350 ml) drink, which stays warm up to 4 hours and a cold frappe, which refreshing taste could stay up to 12 hours. This cup is specially made for reducing the usage of disposable cups. 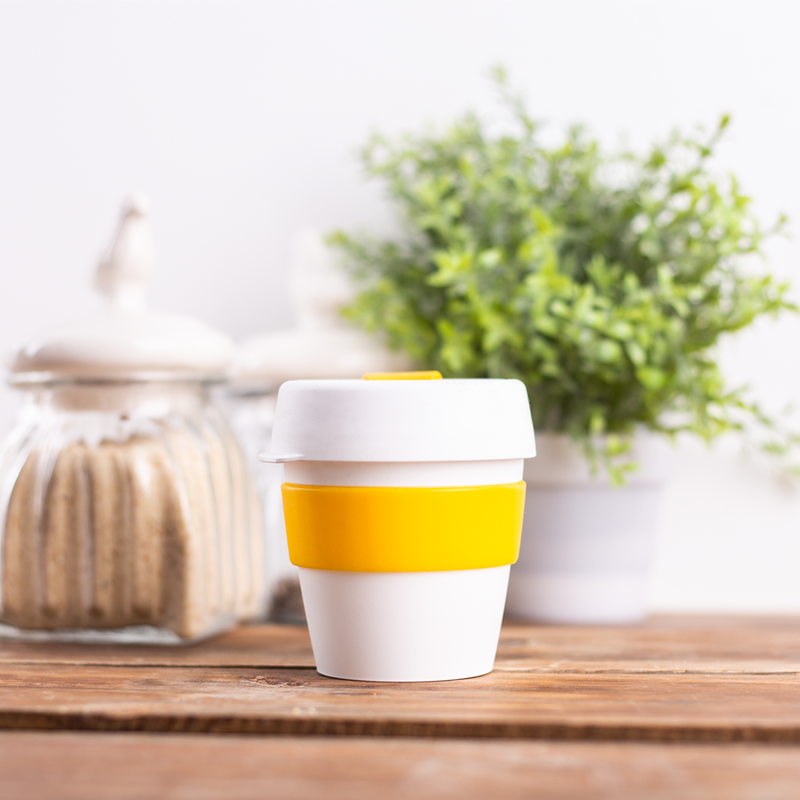 Interesting fact – you can make one “KeepCup” cup from 20 disposable plastic cups and lids. What is more, when you are done with this particular cup – you can recycle it again! This is the solution for porcelain fans. 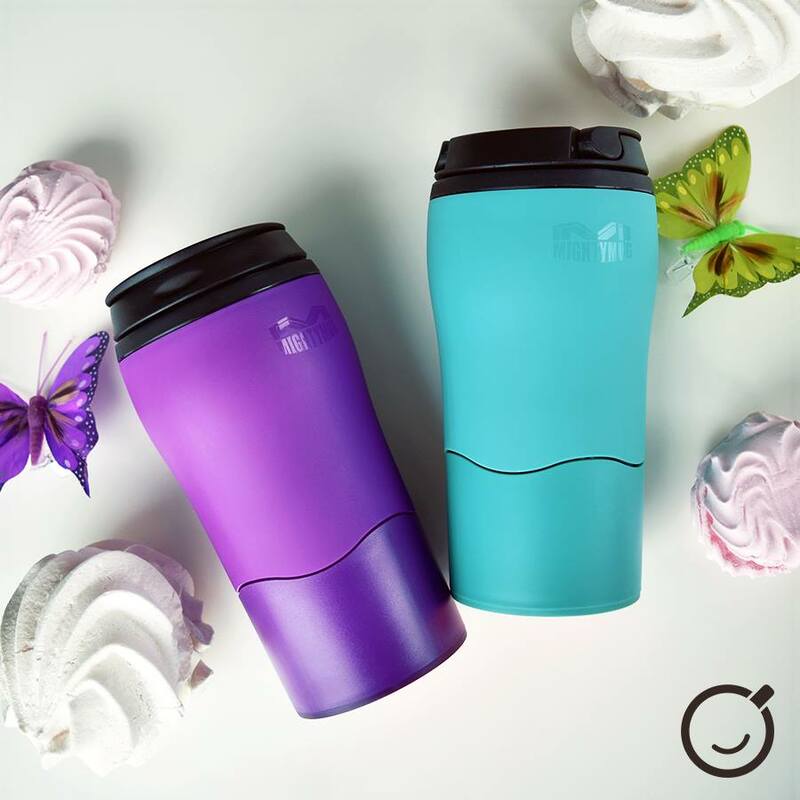 Eco-friendly cups could be matched with different colour lids – so you could always stay stylish and colourful. 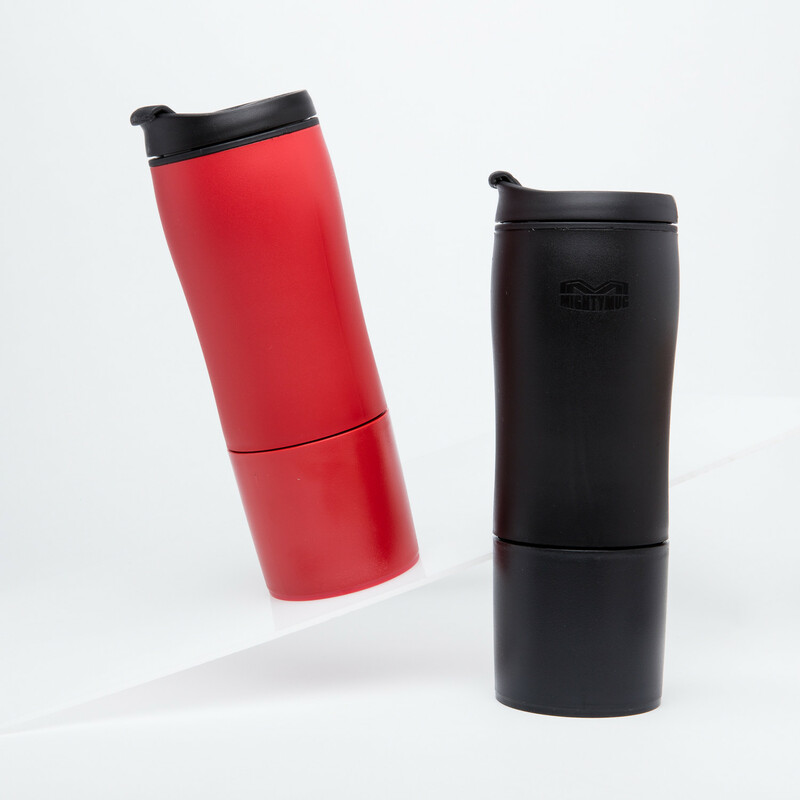 Silicone stripes on the sides gives comfort when holding hot or cold drinks. Maintenance of the cup does not require much effort – the cup and the lid are dishwasher safe. Already chosen your favourite? Here’s a high-five to all reusable cup fans!